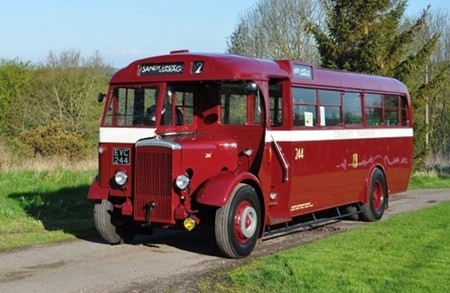 This bus was new in 1940, as fleet number 244, and sold on to Derby Corporation in 1949 where it took fleet number 47. Being non-standard in Derby, it was used mainly for driver training. Passing to Derby Museums, it was off the road from 1979 onwards. In 2009 it was placed on long term loan to Roger Burdett in return for restoration, and it returned to the road in the Spring of 2012. Roger has had the vehicle immaculately restored into Coventry Corporation Transport livery both inside and out and looks as good as the day it was delivered if not better. This is the first time in 63 years that it has carried this livery. This vehicle is scheduled to be at the Lincoln rally this coming Sunday 04/11 along with Coventry Double Decker 334. Coventry = Daimler buses (well, usually!) and Roger Burdett = outstanding restoration. What more needs to be said? What a Wonderful livery, an Excellent paint job makes you feel you could put your hand into it. The interior is just as good with a lovely clean ceiling. Also Ken Jones for his photographs he’s taken of Rogers vehicles. An excellent event at Lincoln yesterday, despite the cloudy and sometimes wet weather. I meant to say I rode on it into Lincoln. Another website gives the seating as B38F, a high figure for a half-cab; 35 is more usual. but there wasn’t much legroom! Thanks Geoff I have filled in the ? ?s, it is a bit high isn’t it. Coventry were renowned for pushing seating to the limit. The CVAs from 1947 had 60 seats and CVGs in the late 50s were up at 63. The COG seating is tight 38 seats in a 26ft vehicle is nearly unique. Lack of seat comfort is why I am unlikely to take it to rallies outside the Midlands. 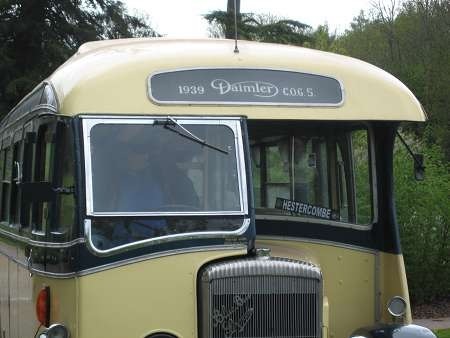 Is it not a COG5/40, the variant single deck Daimler with a very compact cab/engine section, so designed to gain maximum (40 = 40 seats) seating capacity, and only fitted with a Gardner "5"? 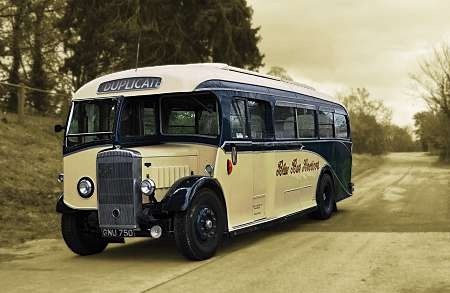 Coventry had finalised the design configuration for a 60 seat 4 wheel double decker by 1939, although Daimler were also developing a 6 wheel double deck chassis, the COG6/60 as a 60 seater (plus) for Leicester, when war broke out. Back to the COG5/40 this was readily identified by its vertical radiator, when the contemporary deckers had sloping radiators, and was represented in several fleets, Lancaster being one. One of the most attractive preserved buses I have ever seen, and I am still sorry I could not make the recent Lincoln event to see it! A good number of North Western pre and immediate post war Bristols previously with 31 and 35 seats were rebodied by Willowbrook in the early 1950s and received 38 seats in their new bodies. Though the chassis were lengthened to 27ft 6ins they were hardly the most comfortable of vehicles. I have changed the code adding /40. John Whitaker is correct. According to the ever reliable Alan Townsin in his book on the Daimler marque, the ’40’ did refer to the potential seating capacity of the COG5/40, but this optimistic figure was achieved only by two buses built for Lancaster Corporation in 1936, which had a rearward facing seat for five at the front. Several bodybuilders achieved a capacity of 39, however, though one imagines that legroom would have been decidedly constrained. As John has accurately stated, the engine was always a 5LW behind a vertical radiator which lacked a fan (the Gardner was always a cool runner), and the engine bay and bonnet assembly was thereby reduced in length to 3ft 11.5inches, a full 8 inches less than that of the COG5 double decker. I thought Roger and others might like to see the attached photograph of a vintage line-up. 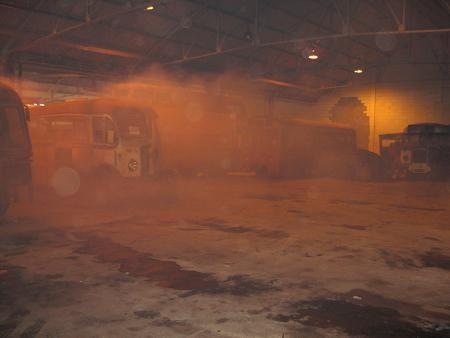 It was taken at Derby’s Ascot Drive depot on 29th November 1970. 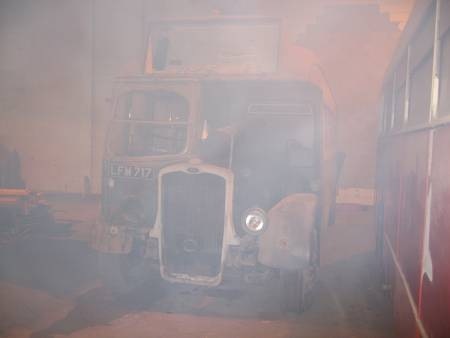 We had travelled down in preserved Oldham Crossley 368 (FBU 827) – a vehicle I was to later own for some years – to collect Derby Crossley 111 (CRC 911), which had just been bought for preservation by Mike Howarth. 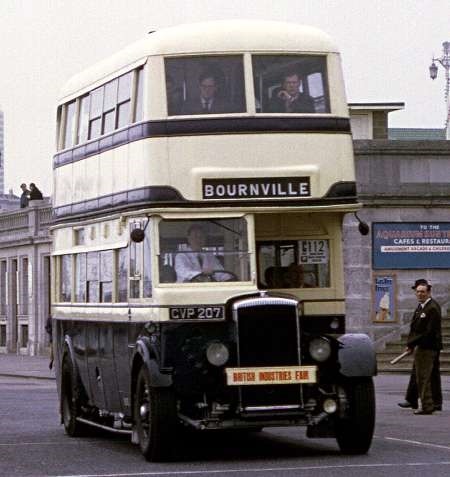 This was, with the possible exception of Joseph Wood’s example, the last Crossley double-decker in service and also had one of the last Brush bodies built. A small hand-over ceremony was arranged with the Fleet Engineer at Derby, John Horrocks, who was himself an enthusiast and preservationist and owned Derby Daimler 27 (ACH 627), which is the fourth vehicle in this line up after Roger’s Coventry Daimler. Happily all four vehicles still exist today although it saddens me greatly that Oldham 368 hasn’t been on the road since about eight months after this picture was taken. Fortunately for a 1950 bus I believe it has yet to spend a first night outdoors, remarkably it has always been kept under cover. The corrosion in this case started bottom up, with combatting the effects of road salt being the main focus of all the work I did on it. Incidentally, the chassis numbers of these two Oldham and Derby Crossleys were just three apart. A splendid picture, David. I have a tremendous respect for those such as you who take on the huge task of bus preservation. Only those who have tried it can truly appreciate the effort, expense and dedication involved. We are all the richer for the results. …..and so say all of us, Roger. 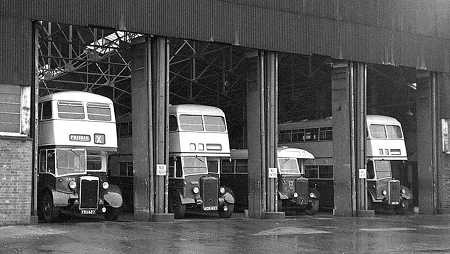 What a joy it was to see the photo’s of Coventry buses. As an ex employee before nationalisation, I’m now retired and moved back to COV after spending time with Midland Red and East Kent (Office & Platform) I am trying to obtain a fleet list for Coventry Transport for the period 1955 to when it became West Midland. If anyone can help I would be most grateful. I will be posting an article on Pool Meadow in the 50’s and 60’s, which was where all bus enthusiasts of every age spent there leisure time. Anyone who was around at that time,I would be pleased to share our memories. 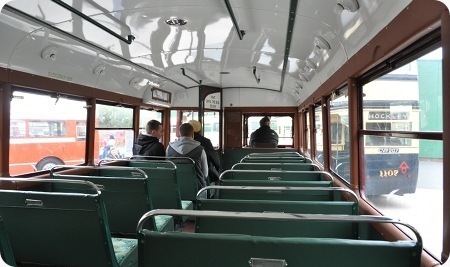 You can find a complete list of every CCT bus from 1914 to 1974 at http://www.cct-society.org.uk/corporation/buses.htm.